Drivers in the UK’s 20 largest cities are receiving 1,128,259 penalty charge notices (PCNs) for driving in bus lanes every year, according to the RAC. 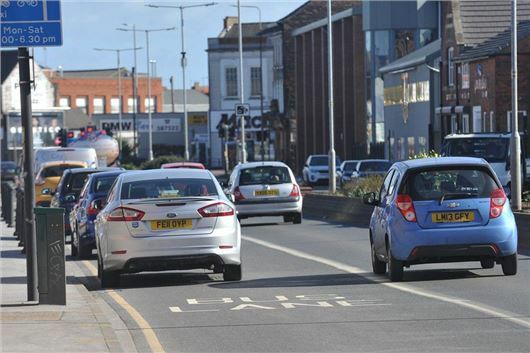 Some 3.4 million PCNs for bus lane incursions were issued by the 53 councils surveyed between 2015 and 2017, netting them an estimated total of £68 million a year. A freedom of information request made by the RAC to London councils and city councils outside the capital revealed that there was a five per cent rise in the number of penalty charge notices issued for bus lane misuse between 2015 and 2017. The data analysed by the RAC shows that Manchester City Council issued the most notices between 2015 and 2017. There were 172,311 PCNS issued in 2017 alone – a dramatic 175 per cent increase on the 62,580 notices in 2015. Glasgow wasn't far behind, issuing almost 400,000 notices between 2015 and 2017, although the city recorded a fall in the number sent to drivers annually over the three years. Birmingham saw the greatest increase in the number of notices issued to drivers, with over 31,000 sent for contraventions across its 19 miles of bus lanes in 2017. This was a whopping 2368 per cent increase on the 1287 recorded in 2015. Interestingly, the data suggests there is no direct correlation between the number of bus lane enforcement cameras in operation and the number of penalties issued. For example, Bristol is reported to have the most enforcement cameras (51 as of 1 January 2018) and issued 48,148 fines in 2017 (944 per camera). In stark contrast, Manchester issued more than three times as many penalties (7832 fines per camera) despite only having 22 cameras. Lewisham Council had the highest total number of PCNs per camera in 2017, with its one bus lane camera issuing a total of 9261 notices. RAC spokesman Simon Williams said: "The sheer quantity of fines suggests something is awry and we don't believe the vast majority are knowingly breaking the rules. "A lot of this is down to improving signage. Every city driver will be familiar with the blue bus lane sign, but on city centre streets with a lot of signage clutter it can be very easy to miss the specific times of operation." The fine for driving in a bus lane varies across the UK, with London levying some of the steepest charges (£160 or £80 if paid quickly), while other metropolitan and provincial areas charge much less (around £60). The law dictates that local authorities have to issue the penalty charge notice within 28 days of the offence. Motorists can then pay the fine at a reduced rate if they do so quickly.